Situated in the proximity of Washington, D.C., Arlington is the headquarter to many departments and agencies of the federal government. Arlington is also bordered by Fairfax County and the City of Falls Church to the southwest, and the City of Alexandria to the southeast. Due to Arlington’s stable economy and proximity to Washington, D.C, it has become a hot spot for many business. As a leading web design company in the Washington, D.C Metropolitan area, NetQwik provides web and marketing solutions to our local clients in Arlington, Virginia. Google reports that more users are surfing the web with mobile devices now. Here at NetQwik, we provide responsive web designs to provide an optimal viewing experience, easy reading and navigation with a minimum of resizing, and scrolling—across a wide range of devices from desktop computer monitors to mobile devices. 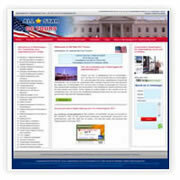 Responsive Web design has become one of the hottest trends. Not having a website that works well on phones, tablets and desktops is like saying goodbye to sales. Here is a sample of a web design that we created for ‘All Star Tours’, a Washington, DC firm that provides sightseeing tours to tourists. 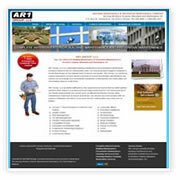 Here is a sample of web design for Arlington client for an construction company. Need Hosting and Domain Services?